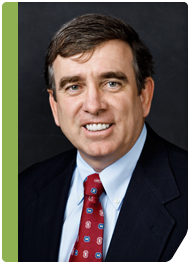 Mr. Sweeney joined Poplar Healthcare in 2010 and assumed the role of Chief Executive Officer in May, 2014. With over 25 years experience in the healthcare diagnostic and information technology industries, he has held a variety of executive leadership positions. Previously, Mr. Sweeney was Senior Vice President for Modis, Inc. managing multiple operations; including the key strategic business practices and national accounts programs. Prior to Modis, he worked for Neuromedical Systems, a diagnostic pathology company, serving first as the Vice President of Sales, North America and then as Vice President of International Business Development. Mr. Sweeney began his career in healthcare with DIANON Systems serving in a variety of sales and management roles. Mr. Sweeney is a graduate of Gettysburg College earning a B.A. in Economics. He also served five years as a U.S. Army officer in the Corps of Engineers.